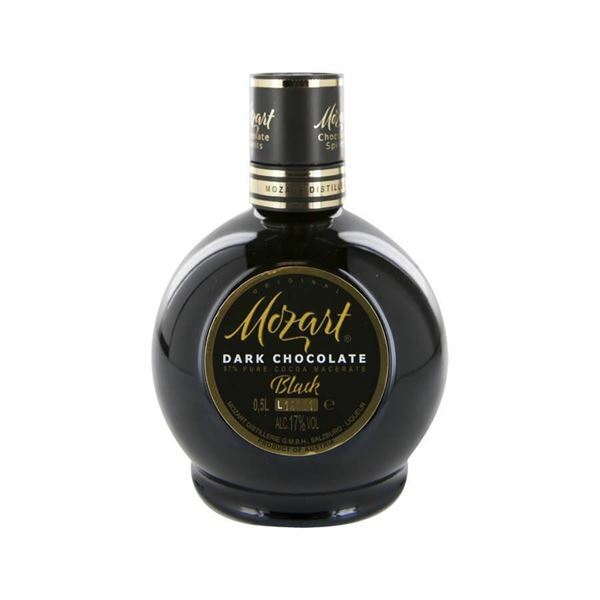 The darkest of all mozart liqueurs, mozart black offers the strong flavour of deep, dark chocolate. sugar cane spirit and chocolate macerate containing 87% pure cocoa deliver a rich, bitter chocolate flavour which is complimented by notes of real bourbon vanilla from madagascar and caramel. the darkness of the chocolate has a smoky edge and is perfect for those creamier cocktails and dessert drinks. though the darkest of dark chocolates isn’t for everyone, this mozart liqueur certainly gets the most from such an intense flavour.